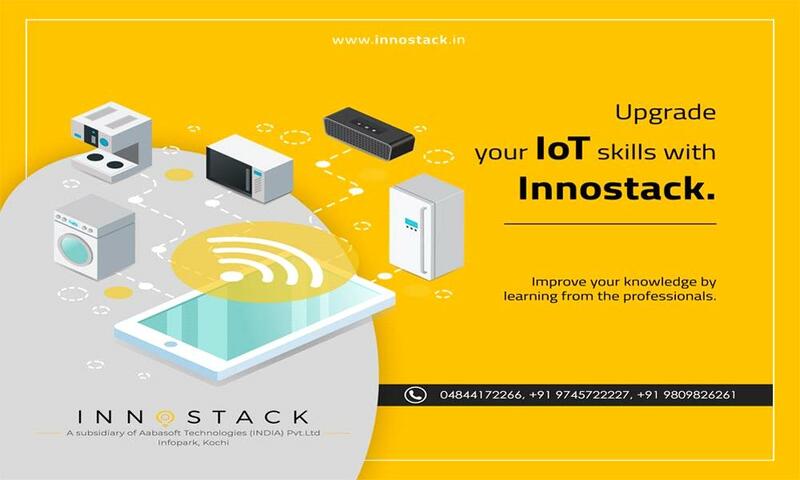 Innostack offering Embedded Systems and IOT Training which will be held from 4th February to 4th May 2019 at Innostack, Kochi. Innostack is one of the best software training Centers in Kochi, offering a technology training course for students. The Internet of Things is bringing in new times of innovation in science and technology which will transform our lives, our habits, and behaviour and even the way we do business. Become a certified Internet of Things professional with a thorough understanding of the basic and advanced IoT concepts with Innostack. Limited seats available for admissions. Registrations once done cannot be refunded.